Rock Island is the crown jewel of Wisconsin's state park system. It's also the most remote, hardest to access, and desolate. 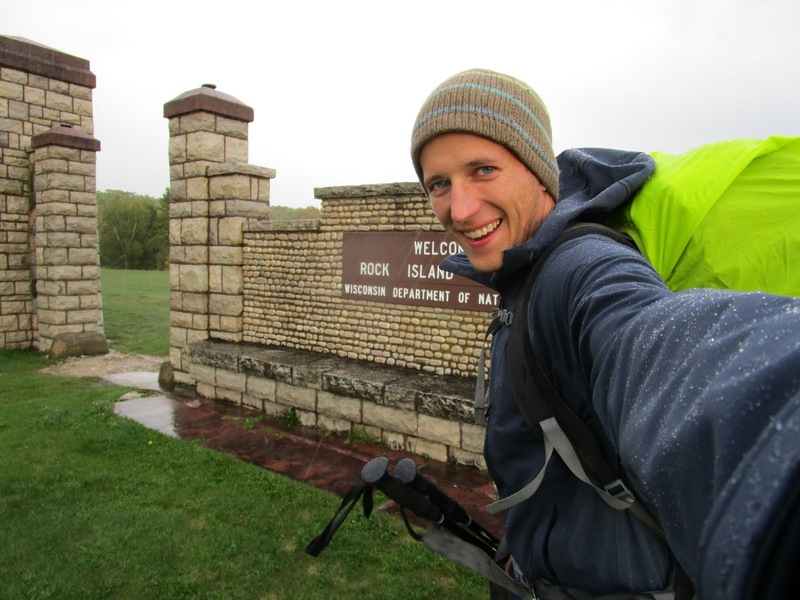 Gray skies and cold rain couldn't dampen the smile I had hopping off the second ferry at Rock Island State Park, the 40th state park I've traveled to for the book I'm writing. When I sat down last October and chose to pull the trigger on this side project of writing a guidebook about all of our state parks, forests, and recreation areas, and mapped out 2018's trips for it, I knew Rock Island would require the most planning. You have to do your homework prior to backpacking here. Where will you get water? How much food to bring? Are you ready for when the weather conditions will drastically change in a swift beat? Have you looked at the ferry times? 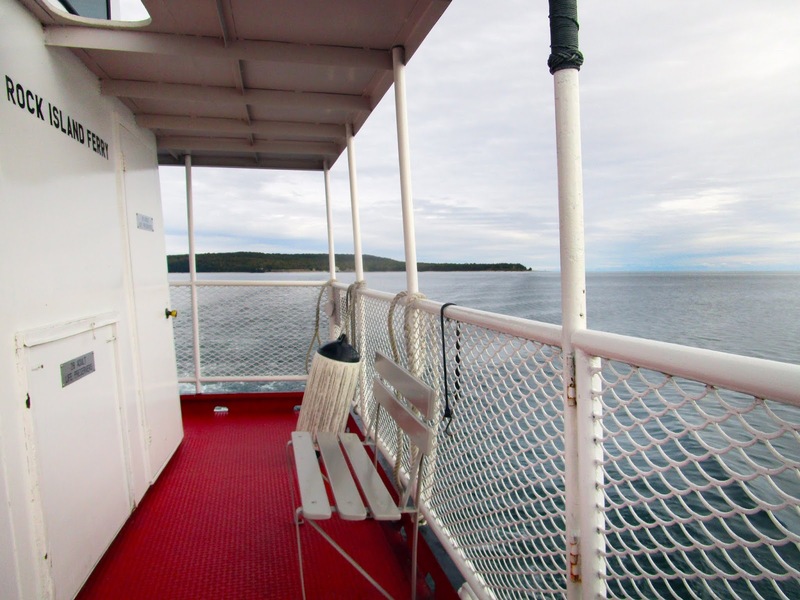 To reach Rock Island, you have to catch two ferries; the first departs hourly from Washington Island and then the second smaller passenger-only boat, the Karfi. The window for accessing the island by water is only from about the end of May until the last weekend in October. Stay tuned for more of a how-to access Rock Island State Park blog post here soon. I'm beyond grateful I was able to explore this new park and backpack here for three days because it truly is a surreal wilderness experience like none other in Wisconsin. When rocking back-and-forth on the tiny Karfi ferry burbling its way from Washington Island to Rock Island State Park, this old magnificent, ornate cobblestone structure appears as you float closer to the dock. The history behind the early roots of this island is chock full of rich Scandinavian heritage🇮🇸. In the late 1800s, Chester Hjortur Thordarson immigrated to the United States from Iceland and found his fortune after inventing and patenting several electrical components we still use to this today. Thordarson, intrigued by the allure of the island, purchased in 1910 some 661 acres of it for a mere $5,735 and began building an escape for himself, families and friends. 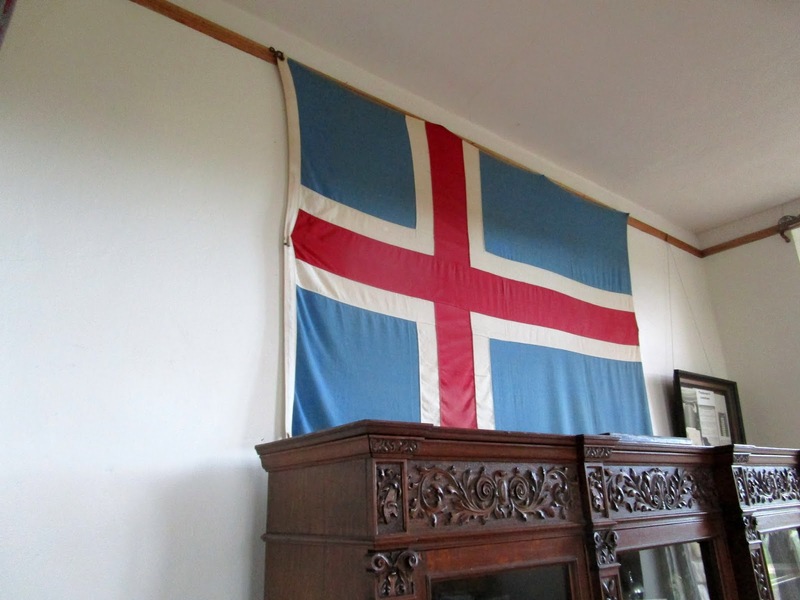 In essence there was almost an entire Icelandic colony that became established here on Rock Island, before the Wisconsin DNR took the reigns fifty-five years later. 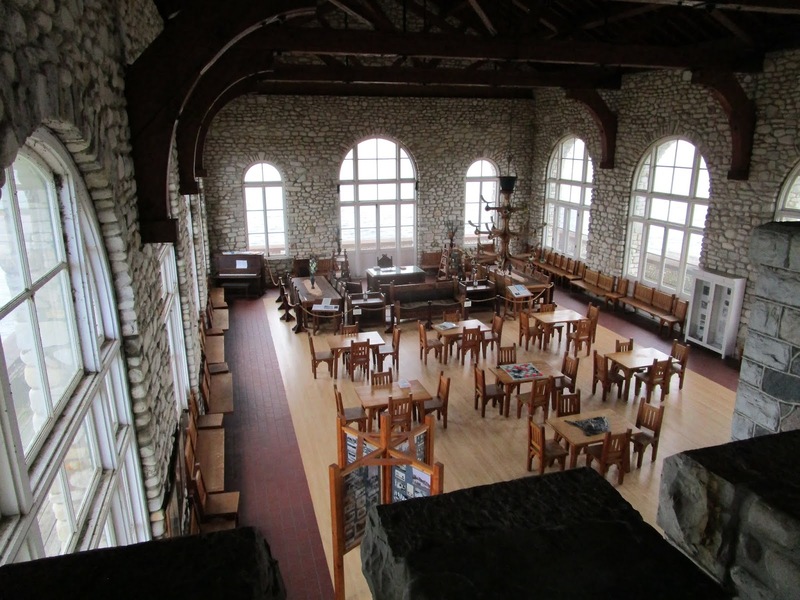 This grand building seen here in these three shots was Thordarson's boathouse and great room which housed his own personal library and work space. I cannot help but dream of retreating to here in the cold, snowy dead of winter, and spending hours at one of those burnt wood tables writing away in my book. Yep, that needs to happen. Sitting and researching as much as I could about Rock Island State Parks vast history drew more appreciation for how some of our state parks are key cornerstones in the making of Wisconsin. Fascinating travels to Tower Hill State Park and Copper Culture State Park for example. We can admire and awe at the natural landscapes each of these park properties show off, but we also must dedicate time and gratitude for the lessons in history these public lands can teach us. It began to rain hard but thankfully I entered this hall of welcoming trees, whose gracious branches shielded me from the downpour. 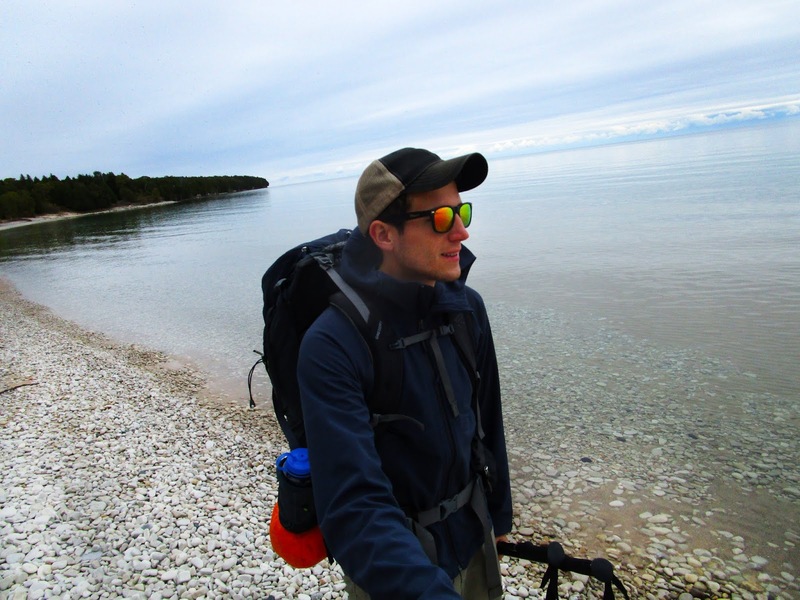 The 1.5- approach hike to the backcountry site was damp, windy, and took me further into the island's dense interior. My watch beeped for 4pm, and I looked down, realizing I had maybe about two hours left until dusk. 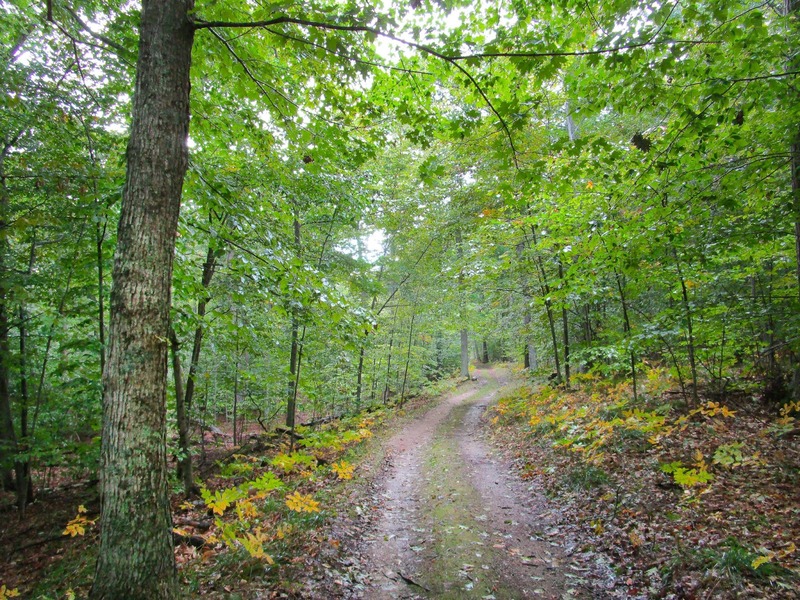 Crisp, lush shelves of leaves bigger than my soaking wet hands collect rain that then slide down onto the forest floor. I tuned in my ears while hiking to my backcountry site, hearing the sounds of the water drops lightly spritzing against my jacket and an elongated "wooooooooossshhhhh" booming as the wind pushes through the canopy of trees above. A moment like this goes to show that even if conditions aren't the most ideal, you should still tread lightly and slow, reaping in all of this exposure to nature's gifts. A brief window in Friday afternoon's forecast of showers gave way to the start of a dreamy golden hour, its piercing sun shining through just above the tree line. Everything glowed, including the neon green rainfly hugging my Gregory Baltoro backpacking pack. I seriously treasure golden hour when I'm in the outdoors, it doesn't last long, but what it does do is serve as a gentle reminder a day of adventuring is gracefully concluding. 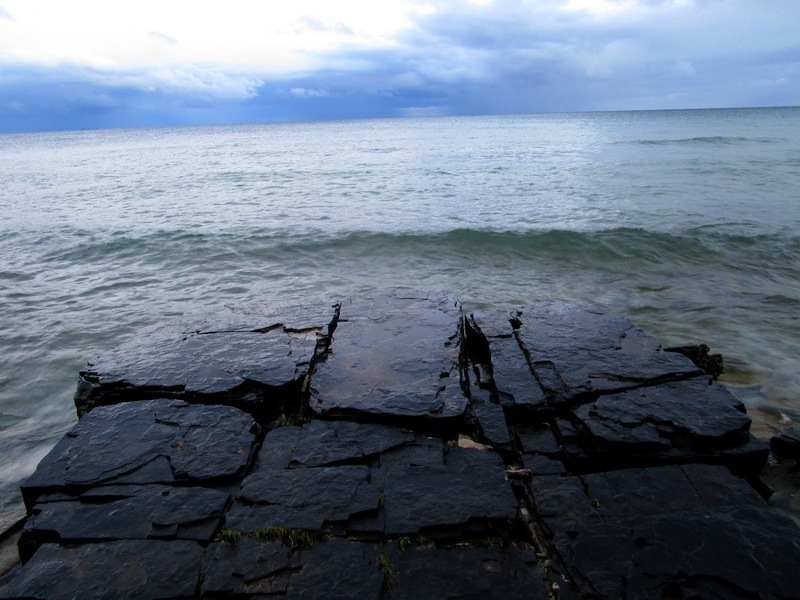 Blocky columns of flat, smooth slickrock jut out into the rolling waters of Lake Michigan up and down miles of shoreline at Rock Island. They're platforms extending towards the theatrical, dark blue evening skies. 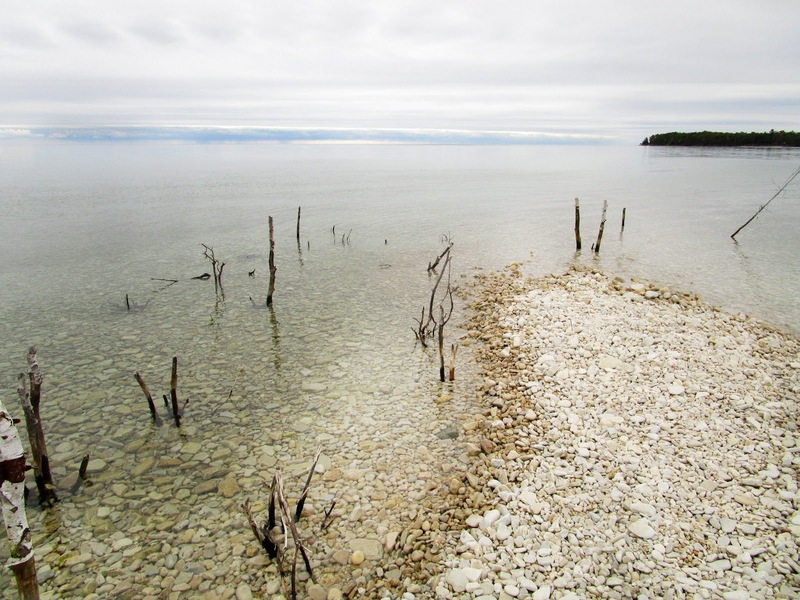 Next time I visit this state park, I have to access it by kayak from Washington Island, because what's pictured here is a perfectly executed dock, carved away by the magic of erosion, right near my campsite that I could paddle to. 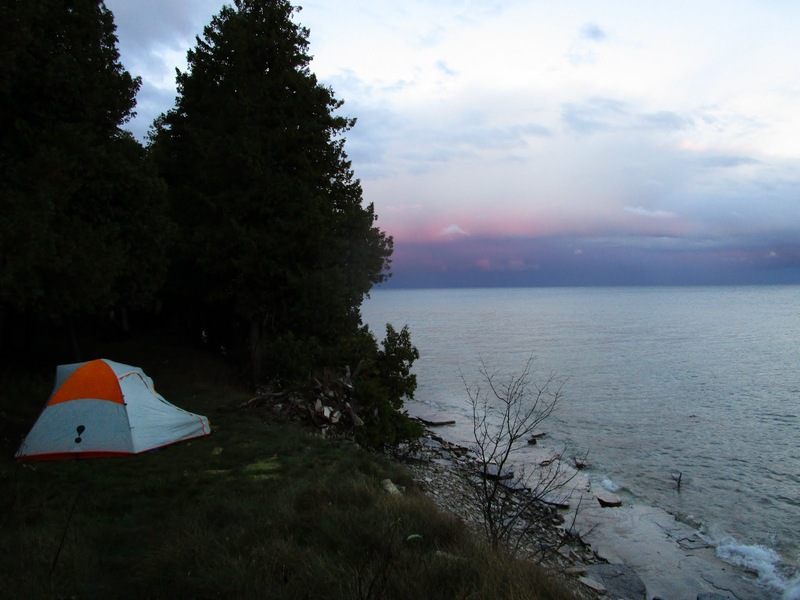 I reflected on gratitude while pitching my tent along the grassy secluded ledge of this cliff near the lake. 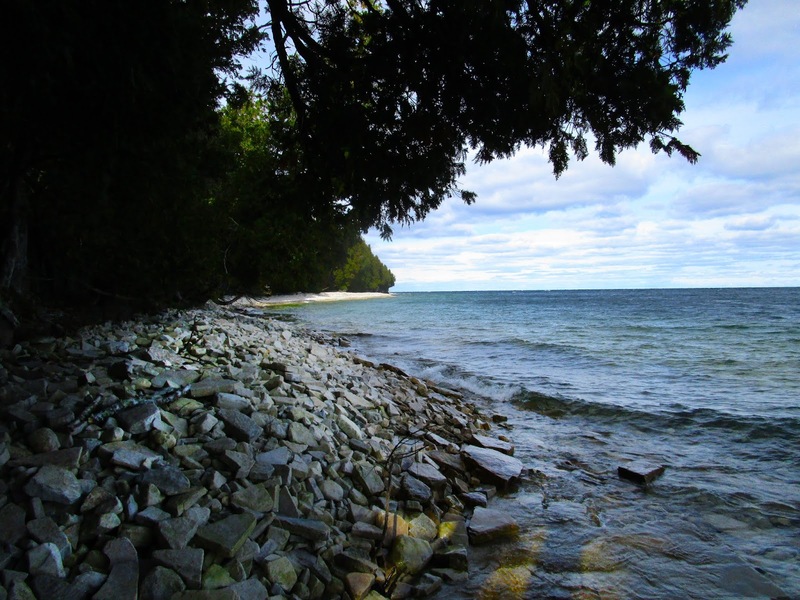 I've always know about a strong intuition inside me urging me to head north and visit Rock Island, a state park off the tip of Wisconsin by itself. Right there, I slowly shook my head and relaxed my jaw, in disbelief at just how heavenly this all felt. The rain subsided and daylight began to fall as I finished cooking dinner over the stove, waiting for this backpacking adventure's opening sunset to arrive. I've recently read a few articles about the digital ethics when it comes to practicing LNT or Leave No Trace, and a key focus point how the over-use of geotagging in photos on social media inadvertently causes protected parts of public lands to be overwhelmed and damages. I see the validity in this, and therefore won't be sharing where this exact location in the park is, because that's a special spot for me I now cherish. I hope you understand the value behind this decision, and perhaps start practicing this mindful choice too. 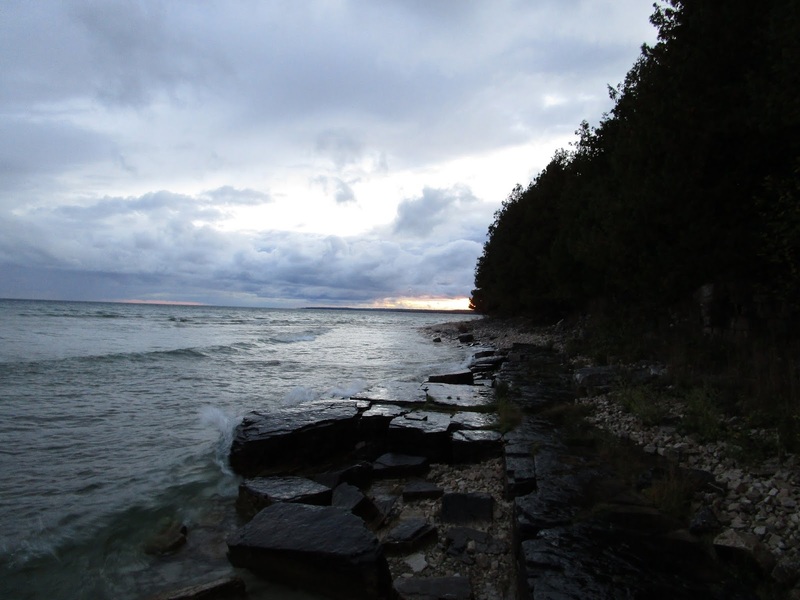 There's this beautiful song by one of my favorite artists, Patrick O'Hearn called "Night Becomes Her," that was playing on loop in my head as I stood and watched the sunset draw to a close on my first day spent backpacking Rock Island. I was straight captivated by this scene being painted right in front of my frozen gaze. The moving clouds, tumultuous current becoming more hostile against the slabs of stone inches from my hiking boots, the daylight diminishing and lowering the air temperature with it. Add this one to the book of sunsets in the wild I'll never forget. Waking up on an early Saturday morning to blue skies, an eerily calm lake, and pristine fall weather. 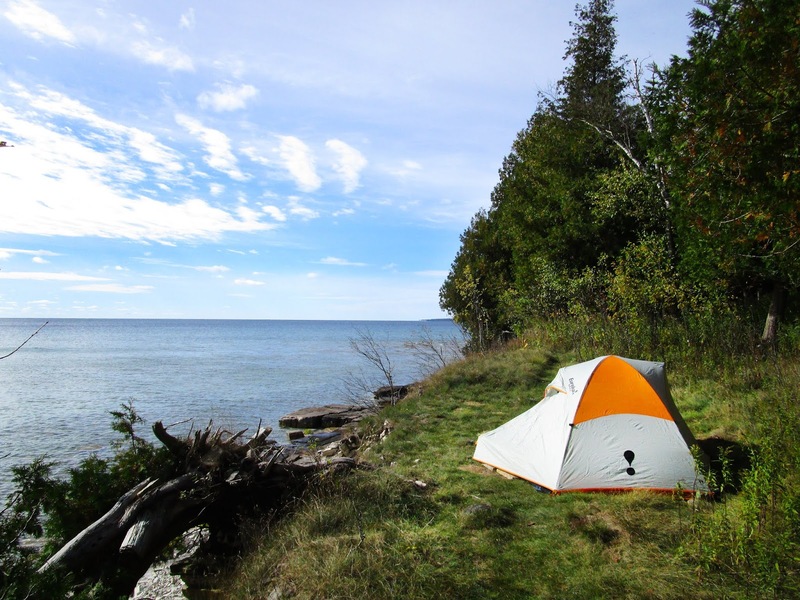 My beloved Eureka Taron2 backpacking tent stakes its claim at what I'm confident is the most incredible, jaw-dropping primitive wilderness site to call home in the entire state. Remind me next time to bring coffee because oh that would have made this moment even more glorious. After breakfast and a bit of journaling and reading, I studied my crinkled paper map and planned out 8 miles of hiking to fully experience the wonders of this new-to-me state park. I'm aching already, months later in early December, desperate to get back to these exact coordinates. 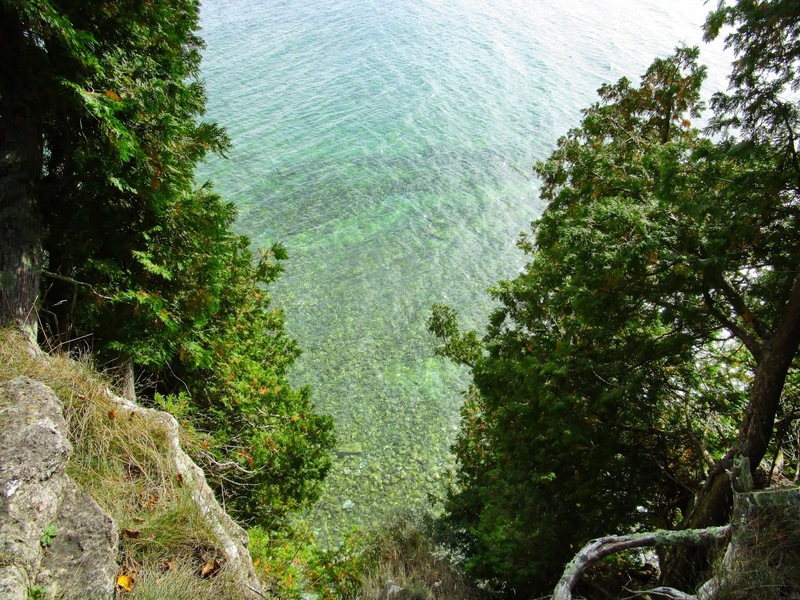 I scrambled down a steep ledge, grabbing onto trusty cedar cedar branches that acted as railings in an effort to keep a steady footing, and reached the bottom shoreline on the island's quiet east side shoreline. I was alone and had the entire place to myself to explore. The vast feelings of being so remote are moving. My heart continued to beat stronger as my deep admiration for this state park elevated. Through a tunnel of skinny birch, I continued hiking around the northern perimeter of the island towards the lighthouse. What's pictured here is a stone lighthouse built just minutes away from where an old fishing settlement use to be. 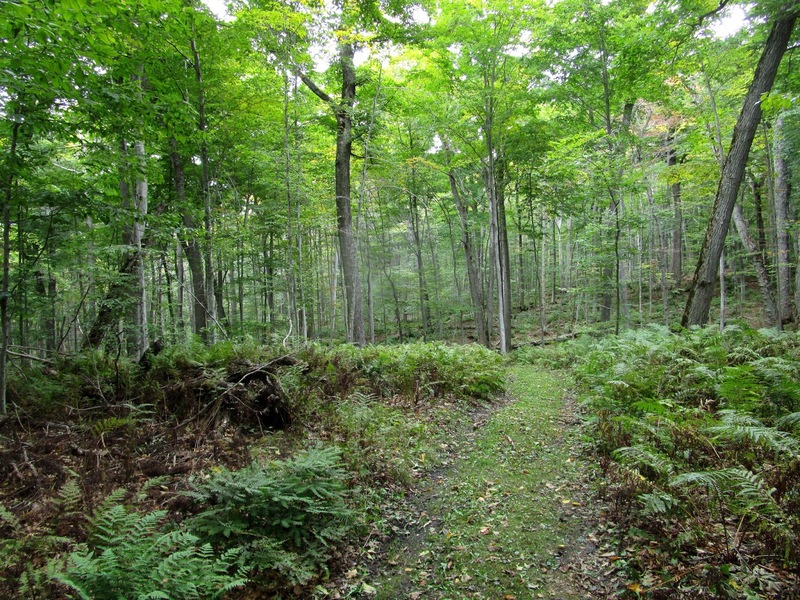 The feeling of truly being in the wilderness here is evident in every direction I look and in every rampant bird call I hear echoing from the tree tops including the bashing clunks of some pileated woodpecker searching for lunch. This park is like a symphony hall for winged residents. I used to volunteer for a couple years with the U.S. Fish and Wildlife Service at a National Wildlife Refuge, where I got my fair share of education on all-things ornithology. But this place, these woods, cued bizarre sounds I've never heard before or even thought existed. It was at that moment on the trail I realized I need to bring a pair of binoculars and invest in a pocket bird ID book to throw in my daypack as I play detective. 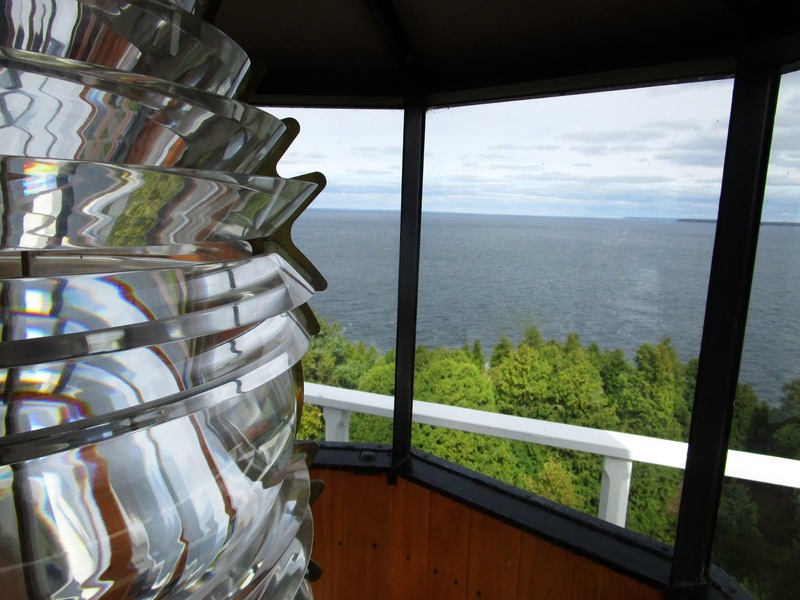 Pottawatomie's beaming light was a beacon of hope for seafarers that sailed through this unpredictable, rough passage around the far northern tip of Door County. 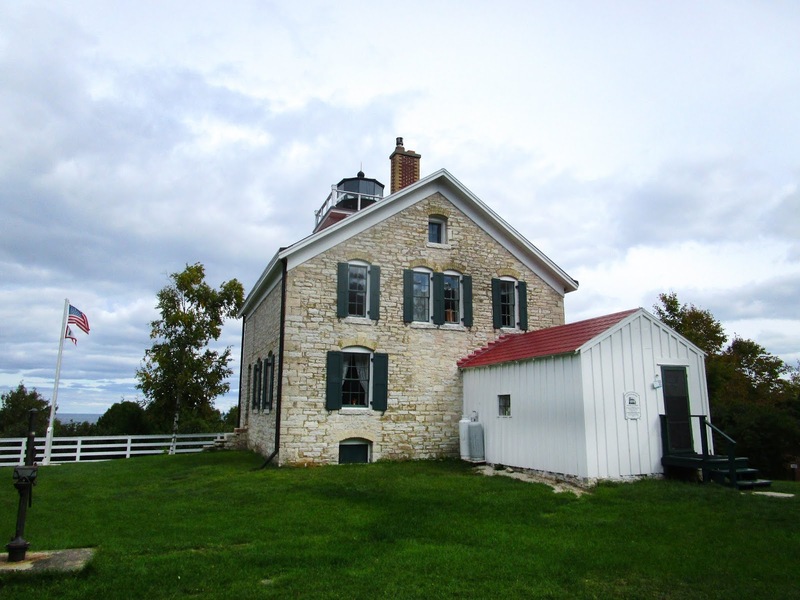 Rock Island's stone lighthouse was first built in 1836 and became Wisconsin's first lighthouse. Pottawatomie was kept operational in good-hands by full-time keepers who lived there on the island during the mid-1800s to early-1900s until the U.S. Coast Guard automated it in 1944. But eventually the glow was darkened, when a new steel structure was built nearby (out of shot). 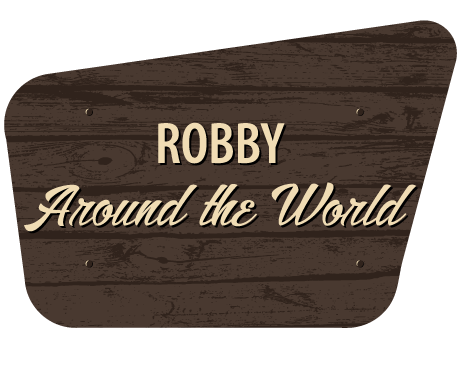 Today, you can tour this gem of Wisconsin maritime history and climb its narrow stairs to the top lens. Prior to arriving at Rock Island State Park to backpack, I had never inside a lighthouse, so this was definitely a treat and experience I'm grateful for, especially because I love our Great Lakes' history. Standing some 159 ft above Lake Michigan, I imagined being here in a past time, when Door County's violent storms made it near impossible for vessels to find their way. 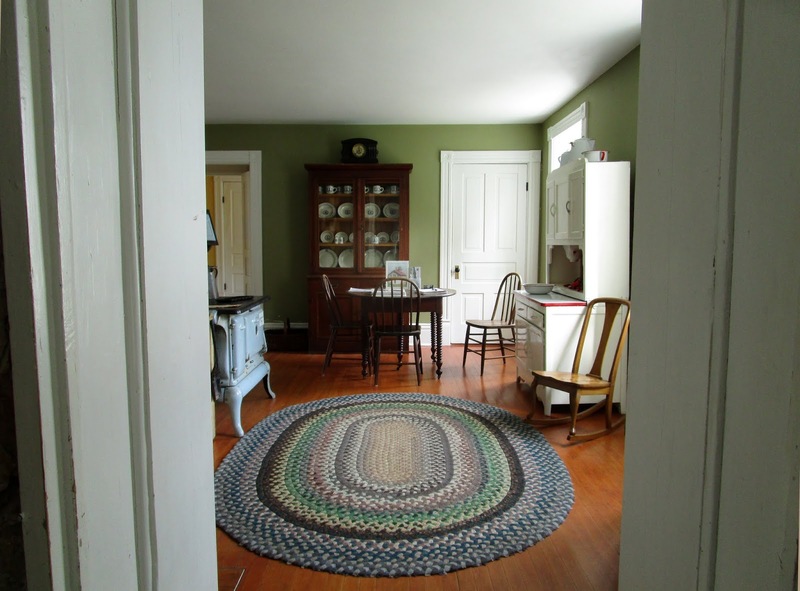 We owe a lot to old Pottawatomie. Safeguarding eyes once kept watch for ships in distress navigating through the Rock Island Passage, a watery maze of shallow shoals and blind islands. Standing by this thin glass, I squinted through to spot Michigan's uninhabited St. Martin island in the distance. 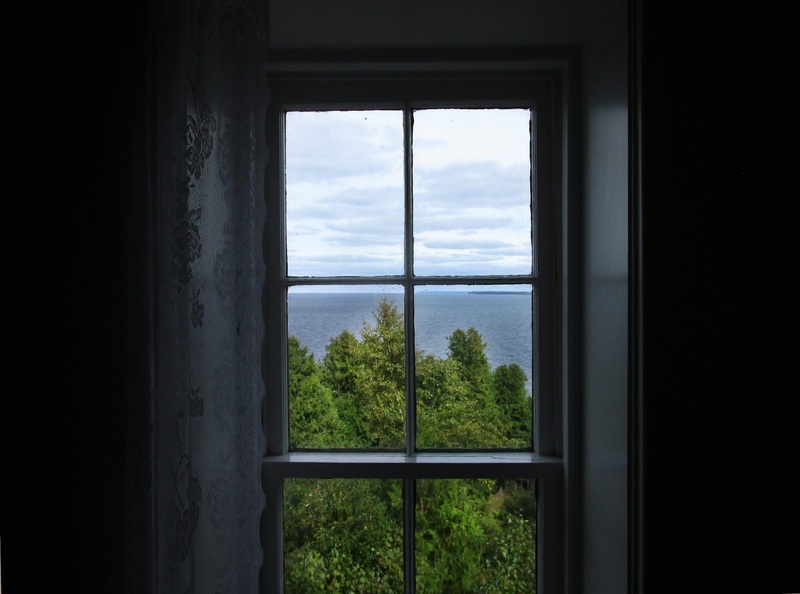 I could hear faint, high-pitched gusts of wind blowing into the side of the lighthouse against this window as I watched the cedars below dance along. The blue sky began to fade away and lower temperatures cascading over the island meant the time has now come for its residents to burrow away and find a warm home for darker months. Everything in nature slows down, too. 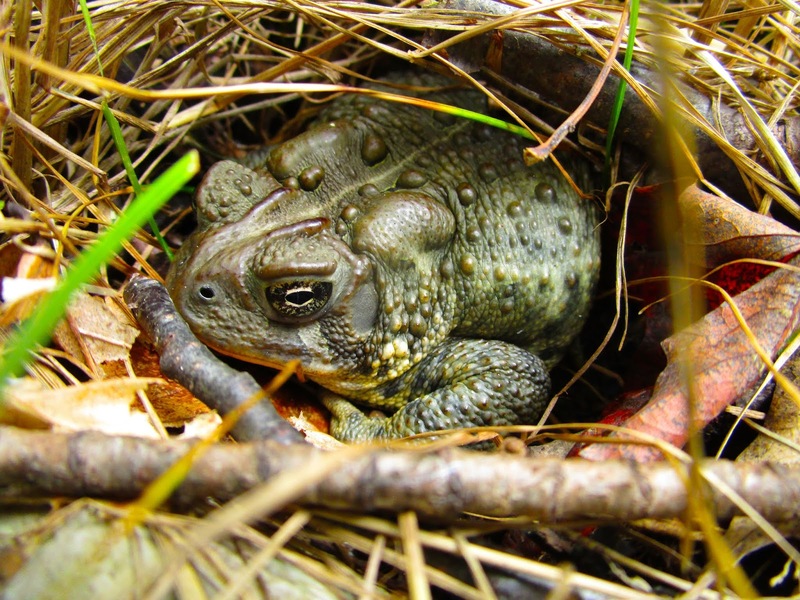 A toad blanketing himself in insulating pine needles ready to slow his heartbeat down to an almost stop, fans of fungi showing its pumpkiny colors before the frost. 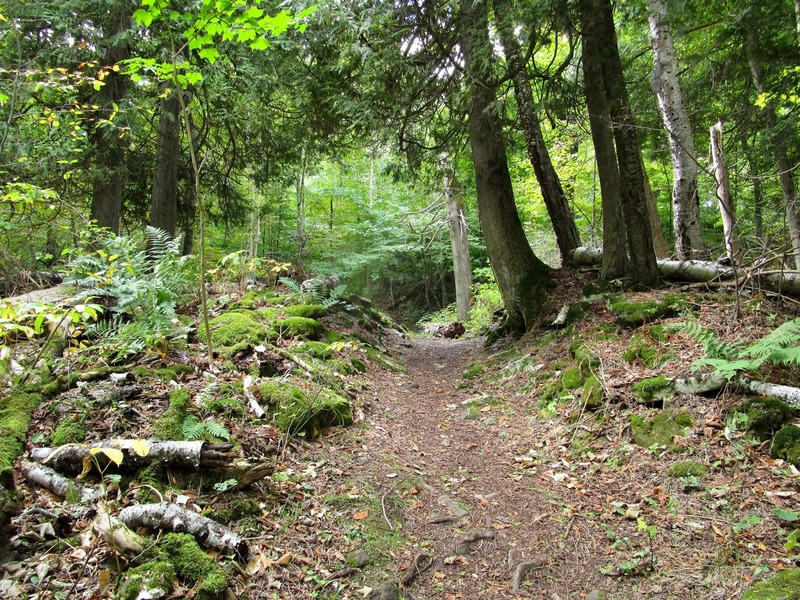 These two pictures were taken on the mile-long interpretive Algonquin Nature Trail, which while tricky to navigate at times due to overgrowth, is a hike rich in fascination and learning. As fall continues to bloom, how do you slow down? Thank you, oh great hemlock for your towering inspiring presence as I walk through your woods. I was humbled to see such a grand tree like this hemlock, which are becoming more and more rare these days. I'm glad I broke trail to find this tsuga canadensis. Standing below swooping branches of blunt needles, staring upwards, I felt such strong energy from this arbor masterpiece. 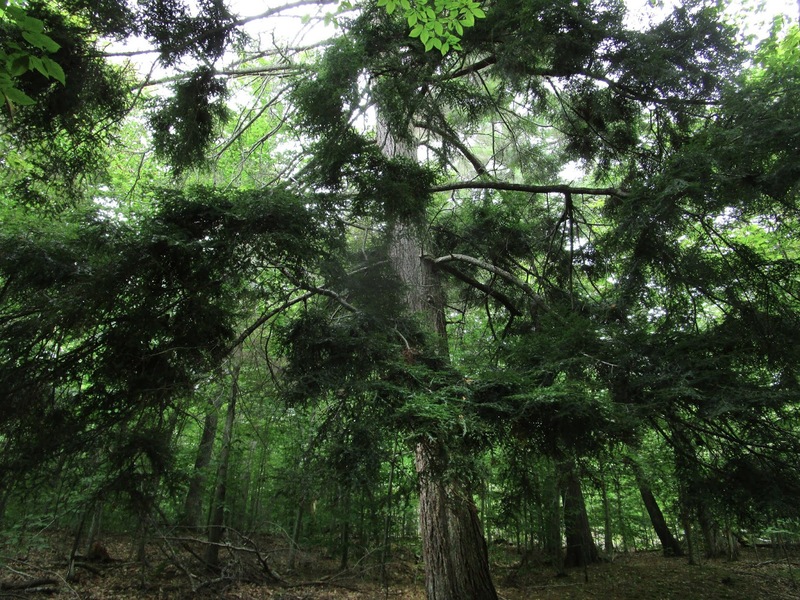 True fact, hemlocks on average grow up to 102 ft tall! The element that continued to impress, move, and surprise me the most about Rock Island was its dense sprawling forests located in the center of the island. It was so surreal to tread lightly through these woods. The shot here was capture on the 1.5-mile long Fernwood Trail, which instantly became my favorite hike in the park. There's so much mystery here, among these trees, as my mind kept diving deeper and deeper into the curiosity realm, wandering and wondering what's really out there. With the second day coming to a close, my commute back to the tent after around eight miles of hiking was quite scenic with vertical views like this. A few precarious steps from the edge of a treacherous drop. Remind me next time to stuff a hammock in my backpacking pack, because gosh there are prime spots littered across the island for some slow swaying. After a chilly second night, my watch beeped me awake a little after seven, and I began boiling water for a hearty warm meal of dehydrated spicy southwest breakfast hash from Getting up to stretch, slip on my pair of cold hiking boots, a bald eagle flew just feet above the fence of cedars that surrounded my cliffside campsite. Simple moments like silently waiting for that kettle to heat from the comfort of my down sleeping bag, bring feelings of gratitude. That's a wonderful way to begin another day on the island. On my last day at Rock Island State Park, I dedicated hours purposely for exploring the southern half of the island. 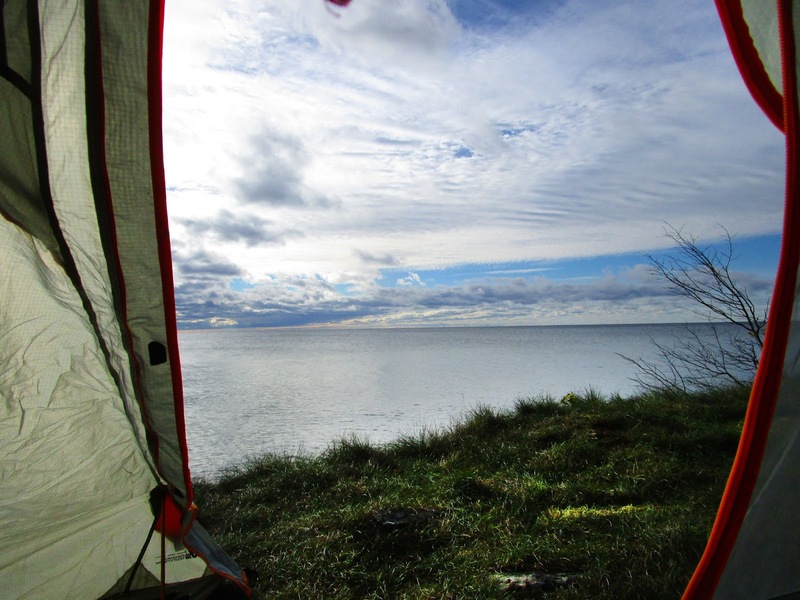 After packing up all of my gear and tearing down the tent, I loaded my backpack and found the coastline. The only sounds I heard for a few hours were the colliding of smooth stones under my hiking boots and sparse waves crashing onto the shore. There's so much stillness here, endless sights causing you to stop in your footsteps and absorb all of this visual stimulation nature is ever-so generously providing. Clear cool waters creating a window to a sandy floor below, detailed reflections and Wisconsin's finest palette of fall colors. Before capturing this picture, I hiked for thirty minutes along the shoreline completely by myself. The solitude here, let me tell you. Pause and read carved stories of the past from the island's early inhabitants. Attentive eyes will discover this as a reward after skirting along water's edge beneath cedars and slick rock. This is a subtle reminder of when tribes called Rock Island home hundreds of years before I snapped the shutter on my digital camera. 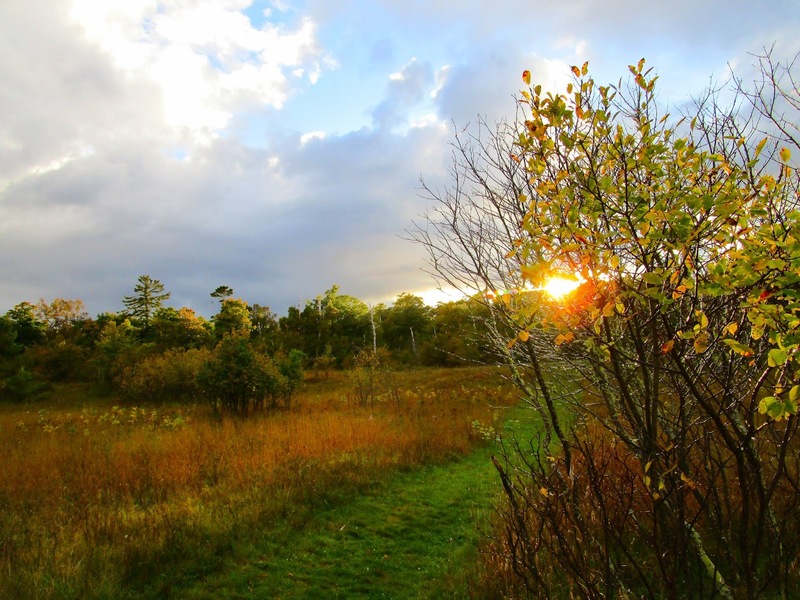 It's amazing that after all this time, what you see here has remained intact through winters and Door County's notoriously harsh storms. Prior to hiking back to the boat launch for the final ferry departure of the day, I was eager to find this secluded rocky point on the map towards the bottom tip of the island. 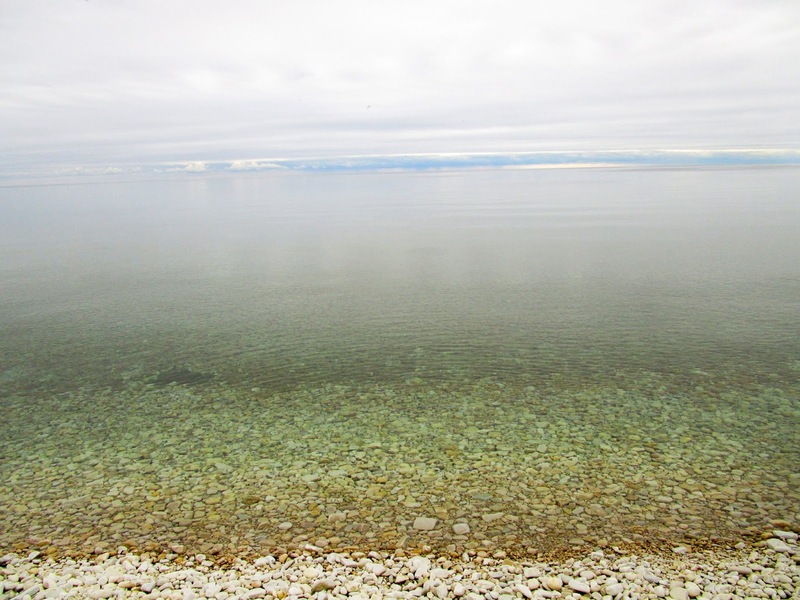 The depths of color and light shimmering off the water may illuminate just how shallow the lake gets between the trailing islands at Door County's northern end. Distant walls of dark blue clouds plummeting below the horizon create this bittersweet illusion of a far away mountain range. See you on the far side, Rock Island. Another state park in the books, catching the first of two ferries back to mainland Door County from Wisconsin's remote Rock Island State Park. 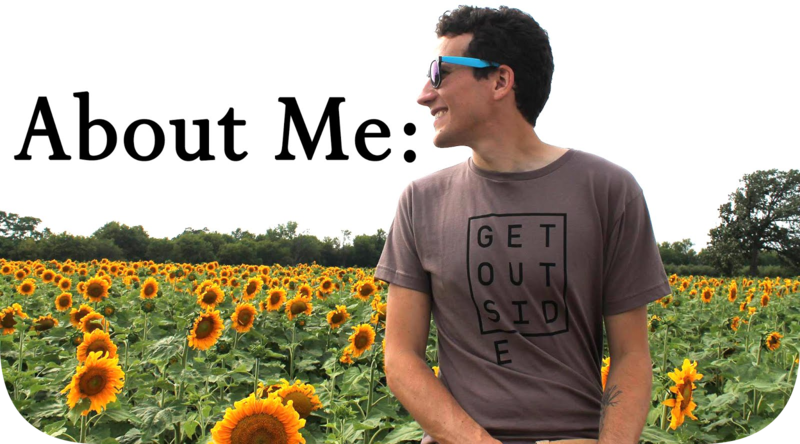 I'm so, so, so, so excited to pen the chapter about this special place in my guidebook about all of our state parks, forests, and recreation areas. It truly is an experience like no-other in Wisconsin. 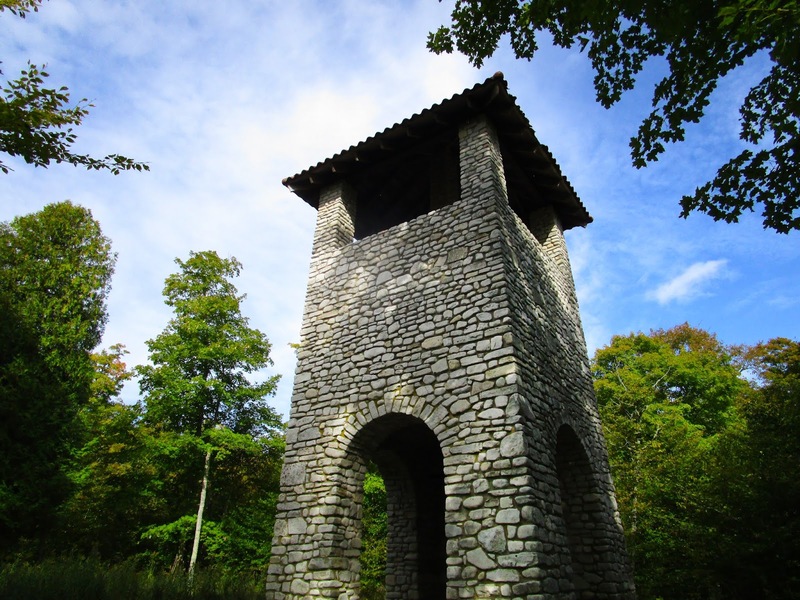 Visit Rock Island State Park's website. 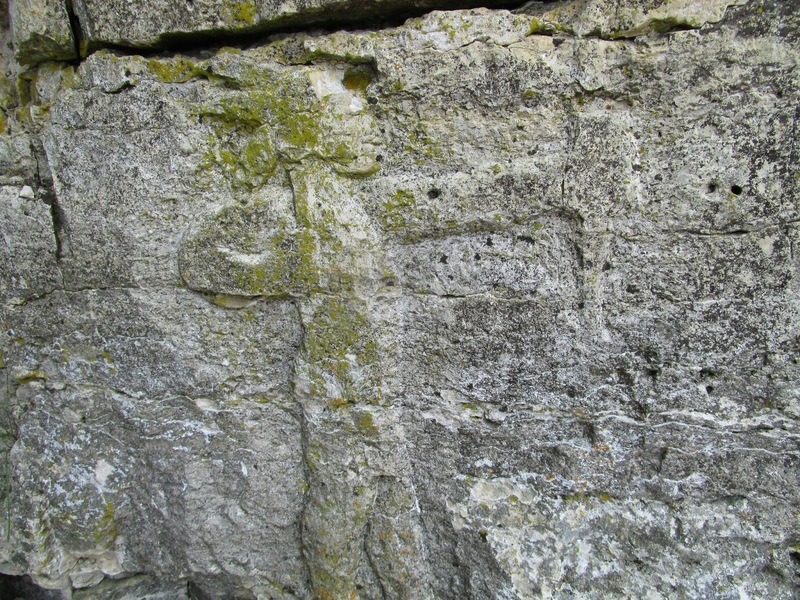 Click here for a map of Rock Island State Park. See ferry times and prices here.